Glendale Heights collecting valentines for veterans (Daily Herald) Do you remember how fun Valentine’s Day was in elementary school? JPMorgan Chase Announces $1 Million Investment in Higher Education Programs for U.S. Military Veterans (Business Wire) JPMorgan Chase & Co. announced today it will invest $1 million to fund higher education programs for U.S. military veterans including grants to Florida State College at Jacksonville, University of South Florida, The University of Texas at Arlington and San Diego State University. 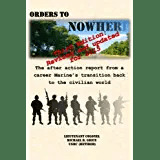 Veterans still fighting for survival in tough job market (CNN Money) The transition from soldier to civilian is rough. Protecting Our Veterans From Domestic Enemies (The Huffington Post) The nation has changed dramatically since I returned from World War II in 1946. Corporate jobs initiative meets 100,000 vet hiring goal (USA Today) A coalition of companies that vowed in 2011 to hired 100,000 veterans within a decade has made its goal seven years early, announcing today that 117,439 former service members have since been provided jobs. Solar jobs attracting industry veterans (Fierce Energy) The Solar Foundation (TSF) has released its fourth annual National Solar Jobs Census, which found that the U.S. solar industry employed 142,698 Americans in 2013, including the addition of 23,682 solar jobs over the previous year — a 19.9 percent growth in employment since September 2012. Veteran job fair Tuesday at Temple VA (KWKT.com) On January 28, Veterans are invited to a job fair from 9 a.m. to noon at the Olin E. Teague Veterans’ Medical Center, part of the Central Texas Veterans Health Care System. Fort Bliss summit to teach businesses and military veterans about jobs (El Paso Times) How companies can hire military veterans and how veterans can find jobs will be covered at the two-day Fort Bliss Veterans Jobs Summit Feb. 3-4. Veterans Corner: Veterans Job and Resource Fair on April 10 (The Sentinel) Mark your calendars. Veterans fair offers help with housing, jobs, benefits (The Record Searchlight) North State veterans struggling to make ends meet may be eligible for a variety of essential services and benefits unknown to them. Are U.S. Veterans Selfish? (Time) It’s an impudent question, but one that naturally surfaces given the outrage rolling in from assorted veterans’ groups as Congress and the Pentagon seek ways to trim government spending that sometimes affect those who have volunteered to fight America’s wars. HOA wants Palm Coast man to remove wounded warriors flag from home (WFTV.com) A Palm Coast man said he’s racking up hundreds in fines for refusing to take down a flag that supports America’s wounded warriors. UM Brain Injury Research to Benefit Athletes, Military (ABCFoxMontana.com) Professional athletes and members of the military could soon benefit from traumatic brain injury research at the University of Montana. Connecting Veterans To Capital (The Street) Pan American Bank today announced the “Connecting Veterans to Capital” workshop scheduled for February 5, 2014. Afghan war vets, St. Louis researchers seek answers on head injuries (St. Louis Post Dispatch) For hours on route clearance missions in southern Afghanistan, Sgt. Michael Ritchey crammed his short body into a Husky, a single-seat vehicle that loosely resembles an armored road-grader. It’s wounded amputee team, with Wisconsin native, vs. ex-NFL players (Journal-Sentinel) Sure, Jeremy Stengel loves the camaraderie of flag football. For injured veteran, war continues even at home (PilotOnline.com) Chuck Rotenberry can talk about the virtues of others, both man and dog, at length. ANN ARBOR: VA Ann Arbor Healthcare System honored for patient care (Ann Arbor Journal) VA Ann Arbor Healthcare System (VAAAHS) celebrated being the first healthcare organization to be awarded Planetree Silver Merit recognition for Significant Advancement in Patient-Centered Care with a special award ceremony featuring presentations by veterans and their loved ones who have received health care at the Ann Arbor VA.
Want to know why Wilmington’s VA compensation case backlog keeps growing? So would we (Delaware Online) Today marks the 38th day since I asked the Dept. of Veterans Affairs in Washington, D.C., for an on-the-record official to discuss why disability compensation cases were being transferred from Baltimore and Philadelphia to Wilmington and other northeast Veterans Benefits Administration offices last year, increasing Wilmington’s backlog – which continues to grow despite an overall national trend in the opposite direction. VA closes community-based health care clinics Tues. and Wed. for weather (The Times-Picayune) The New Orleans office of the U.S. Department of Veterans Affairs announced it will close 10 community-based health care clinics Tuesday and Wednesday due to predicted snow, sleet and ice. Latest breach at VA has Congress asking more questions (FCW) The latest data breach at the Department of Veterans Affairs — this one exposing thousands of veterans’ personally identifiable information in a mid-January software glitch — has Congress again questioning the agency about its IT security practices. At VHA, Doctors, Nurses Clash on Oversight (Wall Street Journal) The Veterans Health Administration is taking heavy fire from doctor groups over a proposal to let nurses with advanced training practice medicine without physician supervision throughout the VHA system—even in states where laws require more oversight. Xerox Helps Department of Veteran’s Affairs Automate Healthcare Claims Pricing (Business Wire) Xerox has been selected to improve the healthcare claims pricing strategy for the Department of Veteran Affairs, Veterans Health Administration. Omnibus VA bill would repeal pension reductions, ensure benefits during future shutdowns (Fierce Government) An omnibus veterans affairs bill introduced by Sen. Bernie Sanders (I-Vt.) would fully repeal pension reductions, ensure veterans benefits if the government shuts down again and introduce new veteran hiring goals. TRICARE military centers closing walk-in services in April (Standard-Examiner) A personal touch looks to be disappearing from the military health benefits system. Iowa Senate passes tax exemption for military retirement pay (The Gazette) The Iowa Senate voted Monday to exempt military retirement pay from state income taxes – a move that backers hope will encourage more veterans to stay, return or move to Iowa. Top enlisted retirees push back on COLA cuts (Military Times) Chip Hoynes retired from the Coast Guard in 2007, landing a high-paying job with a defense contractor in the same field he worked in on active duty. Hearings: Senate panel to examine military pension cut (The Washington Post) Lawmakers are off to a busy start after returning from a week-long break, with some notable congressional hearings taking place on Tuesday.